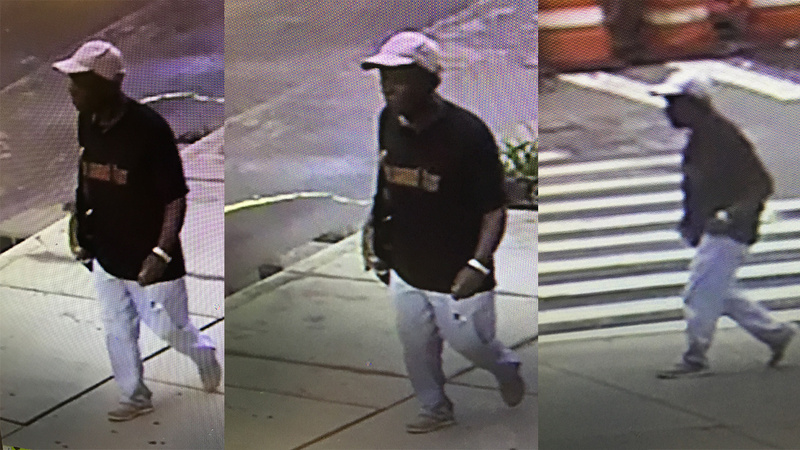 WEST VILLAGE, Manhattan -- Police are searching for a bandit who assaulted and robbed a 74-year-old man inside his apartment building in West Village. The attack happened on Wednesday evening around 7:30 inside the vestibule of the building on Horatio Street between Greenwich and Washington Streets. Investigators say the suspect punched the victim multiple times in the face, and took his wallet containing $400 and credit cards. The victim was taken to the hospital where he is listed in stable condition. Images of the suspect were captured by a surveillance camera. He is believed to be in his 40s and stand around 5-feet-10.